You know this thing about Paw Patrol Games? 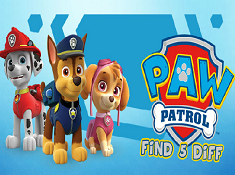 Cute-games.com presents a new category of games named Paw Patrol games where you will find all the characters from the series with the same name along with who you will go on great adventures and you will have amazing experiences. 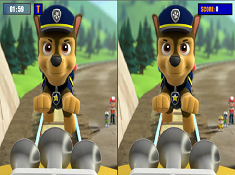 In Paw Patrol Games you can find 71 games that we've published for these kids and childrens that are interested to play Paw Patrol Games, this game gategory have been created on 02.03.2016. These games with Paw Patrol Games have been voted 1 times and the avarage of vote is 5.00 stars. We advice you to play the last flash game from Paw Patrol Games, Paw Patrol Sea Patrol that have been published on 08.10.2017 20:00. Paw Patrol Sea Patrol its a part of Paw Patrol Games category and until now its played 7787 times. Try it now on Cute-Games.com! If your like the Paw Patrol Sea Patrol game you can write a comment in the game page. Recommend this game to your friends if you like it! Paw Patrol Whats Missing its a part of Paw Patrol Games category and until now its played 2368 times. Try it now on Cute-Games.com! If your like the Paw Patrol Whats Missing game you can write a comment in the game page. Recommend this game to your friends if you like it! 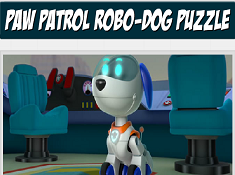 Paw Patrol Robo-dog Puzzle its a part of Paw Patrol Games category and until now its played 2274 times. Try it now on Cute-Games.com! If your like the Paw Patrol Robo-dog Puzzle game you can write a comment in the game page. Recommend this game to your friends if you like it! 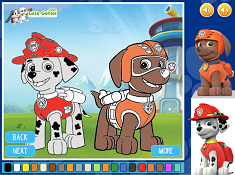 Paw Patrol Rescue Pups its a part of Paw Patrol Games category and until now its played 2078 times. Try it now on Cute-Games.com! Paw Patrol Easter Puzzle its a part of Paw Patrol Games category and until now its played 2224 times. Try it now on Cute-Games.com! 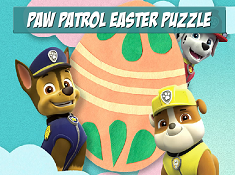 If your like the Paw Patrol Easter Puzzle game you can write a comment in the game page. Recommend this game to your friends if you like it! Paw Patrol Mission Paw its a part of Paw Patrol Games category and until now its played 7476 times. Try it now on Cute-Games.com! 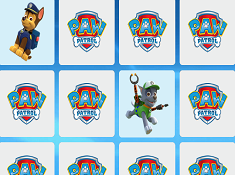 If your like the Paw Patrol Mission Paw game you can write a comment in the game page. Recommend this game to your friends if you like it! 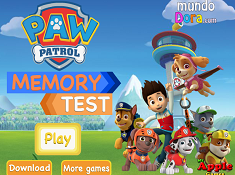 Paw Patrol Memory Test its a part of Paw Patrol Games category and until now its played 3170 times. Try it now on Cute-Games.com! If your like the Paw Patrol Memory Test game you can write a comment in the game page. Recommend this game to your friends if you like it! Paw Patrol Bounce its a part of Paw Patrol Games category and until now its played 2759 times. Try it now on Cute-Games.com! If your like the Paw Patrol Bounce game you can write a comment in the game page. Recommend this game to your friends if you like it! 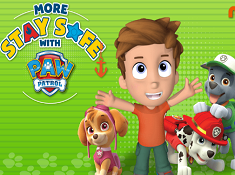 Stay Safe With Paw Patrol its a part of Paw Patrol Games category and until now its played 2978 times. Try it now on Cute-Games.com! 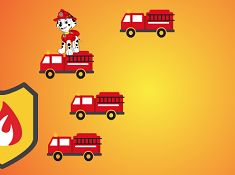 If your like the Stay Safe With Paw Patrol game you can write a comment in the game page. Recommend this game to your friends if you like it! Nick Jr Super Snuggly Sports Spectacular its a part of Nickelodeon Games category and until now its played 3842 times. Try it now on Cute-Games.com! 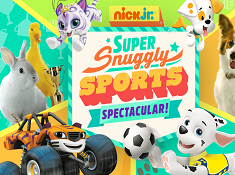 If your like the Nick Jr Super Snuggly Sports Spectacular game you can write a comment in the game page. Recommend this game to your friends if you like it! 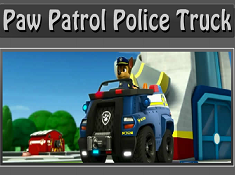 Paw Patrol Police Truck its a part of Paw Patrol Games category and until now its played 3145 times. Try it now on Cute-Games.com! If your like the Paw Patrol Police Truck game you can write a comment in the game page. Recommend this game to your friends if you like it! Paw Patrol Memory its a part of Paw Patrol Games category and until now its played 2793 times. Try it now on Cute-Games.com! If your like the Paw Patrol Memory game you can write a comment in the game page. Recommend this game to your friends if you like it! 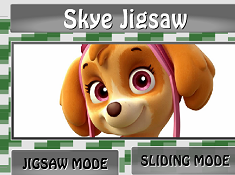 Skye Jigsaw its a part of Paw Patrol Games category and until now its played 2024 times. Try it now on Cute-Games.com! If your like the Skye Jigsaw game you can write a comment in the game page. Recommend this game to your friends if you like it! 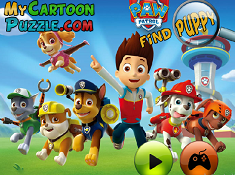 Paw Patrol Find Puppy its a part of Paw Patrol Games category and until now its played 3388 times. Try it now on Cute-Games.com! 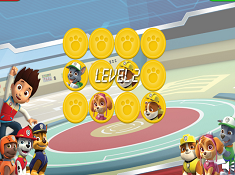 If your like the Paw Patrol Find Puppy game you can write a comment in the game page. Recommend this game to your friends if you like it! 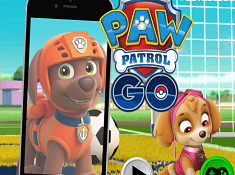 Paw Patrol Go its a part of Paw Patrol Games category and until now its played 2841 times. Try it now on Cute-Games.com! If your like the Paw Patrol Go game you can write a comment in the game page. Recommend this game to your friends if you like it! 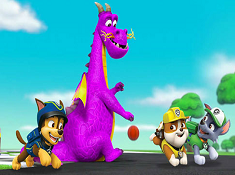 Paw Patrol and Dragon its a part of Paw Patrol Games category and until now its played 2181 times. Try it now on Cute-Games.com! If your like the Paw Patrol and Dragon game you can write a comment in the game page. Recommend this game to your friends if you like it! Paw Patrol Karate Students its a part of Paw Patrol Games category and until now its played 2197 times. Try it now on Cute-Games.com! If your like the Paw Patrol Karate Students game you can write a comment in the game page. Recommend this game to your friends if you like it! 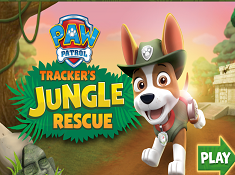 Trackers Jungle Rescue its a part of Paw Patrol Games category and until now its played 8954 times. Try it now on Cute-Games.com! If your like the Trackers Jungle Rescue game you can write a comment in the game page. Recommend this game to your friends if you like it! Paw Patrol Find 5 Diff its a part of Paw Patrol Games category and until now its played 2596 times. Try it now on Cute-Games.com! If your like the Paw Patrol Find 5 Diff game you can write a comment in the game page. Recommend this game to your friends if you like it! Paw Patrol Hidden Numbers its a part of Paw Patrol Games category and until now its played 2747 times. Try it now on Cute-Games.com! 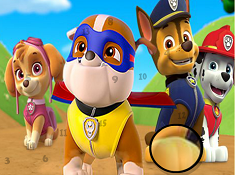 If your like the Paw Patrol Hidden Numbers game you can write a comment in the game page. Recommend this game to your friends if you like it! Paw Patrol Coloring 2 its a part of Paw Patrol Games category and until now its played 11945 times. Try it now on Cute-Games.com! 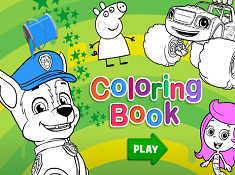 If your like the Paw Patrol Coloring 2 game you can write a comment in the game page. Recommend this game to your friends if you like it! 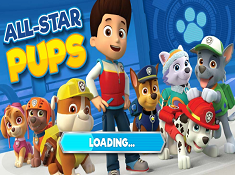 All Star Pups its a part of Paw Patrol Games category and until now its played 3633 times. Try it now on Cute-Games.com! If your like the All Star Pups game you can write a comment in the game page. Recommend this game to your friends if you like it! 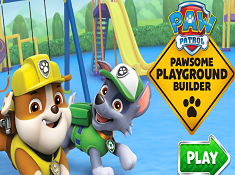 Pawsome Playground Builder its a part of Paw Patrol Games category and until now its played 4359 times. Try it now on Cute-Games.com! If your like the Pawsome Playground Builder game you can write a comment in the game page. Recommend this game to your friends if you like it! 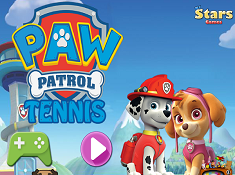 Paw Patrol Tennis its a part of Paw Patrol Games category and until now its played 3878 times. Try it now on Cute-Games.com! If your like the Paw Patrol Tennis game you can write a comment in the game page. Recommend this game to your friends if you like it! 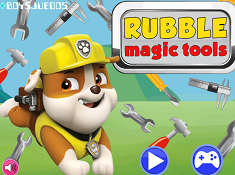 Rubble Magic Tools its a part of Paw Patrol Games category and until now its played 2890 times. Try it now on Cute-Games.com! If your like the Rubble Magic Tools game you can write a comment in the game page. Recommend this game to your friends if you like it! 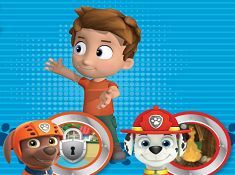 Stay Safe with Paw Patrol its a part of Paw Patrol Games category and until now its played 4861 times. Try it now on Cute-Games.com! 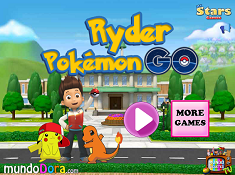 Ryder Pokemon Go its a part of Paw Patrol Games category and until now its played 3461 times. Try it now on Cute-Games.com! If your like the Ryder Pokemon Go game you can write a comment in the game page. Recommend this game to your friends if you like it! 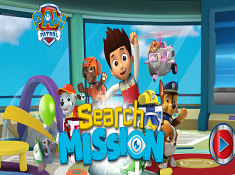 Paw Patrol Search Mission its a part of Paw Patrol Games category and until now its played 4467 times. Try it now on Cute-Games.com! If your like the Paw Patrol Search Mission game you can write a comment in the game page. Recommend this game to your friends if you like it! Paw Patrol Puppy Pairs its a part of Paw Patrol Games category and until now its played 2476 times. Try it now on Cute-Games.com! If your like the Paw Patrol Puppy Pairs game you can write a comment in the game page. Recommend this game to your friends if you like it! Chase Coloring its a part of Paw Patrol Games category and until now its played 3719 times. Try it now on Cute-Games.com! If your like the Chase Coloring game you can write a comment in the game page. Recommend this game to your friends if you like it! Chase Farm Revolution its a part of Paw Patrol Games category and until now its played 3137 times. Try it now on Cute-Games.com! If your like the Chase Farm Revolution game you can write a comment in the game page. Recommend this game to your friends if you like it! Paw Patrol Jump its a part of Paw Patrol Games category and until now its played 1971 times. Try it now on Cute-Games.com! If your like the Paw Patrol Jump game you can write a comment in the game page. Recommend this game to your friends if you like it! 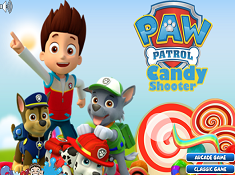 Paw Patrol Candy Shooter its a part of Paw Patrol Games category and until now its played 2533 times. Try it now on Cute-Games.com! If your like the Paw Patrol Candy Shooter game you can write a comment in the game page. Recommend this game to your friends if you like it! Paw Patrol Othello its a part of Paw Patrol Games category and until now its played 2341 times. Try it now on Cute-Games.com! 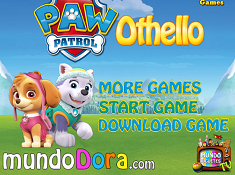 If your like the Paw Patrol Othello game you can write a comment in the game page. Recommend this game to your friends if you like it! Paw Patrol Jumping its a part of Paw Patrol Games category and until now its played 1752 times. Try it now on Cute-Games.com! 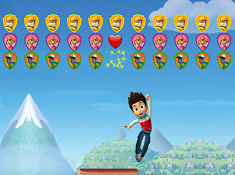 If your like the Paw Patrol Jumping game you can write a comment in the game page. Recommend this game to your friends if you like it! 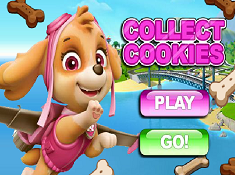 Collect Cookies its a part of Paw Patrol Games category and until now its played 2756 times. Try it now on Cute-Games.com! If your like the Collect Cookies game you can write a comment in the game page. Recommend this game to your friends if you like it! 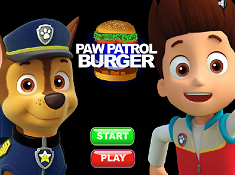 Paw Patrol Burger its a part of Paw Patrol Games category and until now its played 2760 times. Try it now on Cute-Games.com! If your like the Paw Patrol Burger game you can write a comment in the game page. Recommend this game to your friends if you like it! 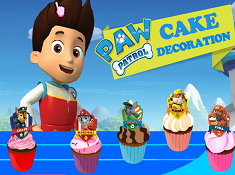 Paw Patrol Cake Decoration its a part of Paw Patrol Games category and until now its played 3046 times. Try it now on Cute-Games.com! If your like the Paw Patrol Cake Decoration game you can write a comment in the game page. Recommend this game to your friends if you like it! Memory Ryder and Friends its a part of Paw Patrol Games category and until now its played 1769 times. Try it now on Cute-Games.com! If your like the Memory Ryder and Friends game you can write a comment in the game page. Recommend this game to your friends if you like it! 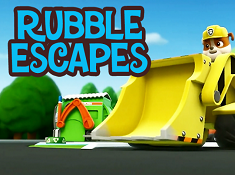 Rubble Escape its a part of Paw Patrol Games category and until now its played 3555 times. Try it now on Cute-Games.com! If your like the Rubble Escape game you can write a comment in the game page. Recommend this game to your friends if you like it! Paw Patrol Pattern Puzzle its a part of Paw Patrol Games category and until now its played 3984 times. Try it now on Cute-Games.com! 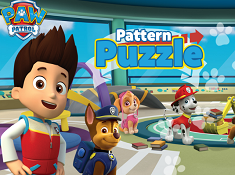 If your like the Paw Patrol Pattern Puzzle game you can write a comment in the game page. Recommend this game to your friends if you like it! 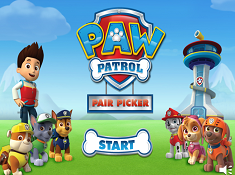 Paw Patrol Pair Picker its a part of Paw Patrol Games category and until now its played 3205 times. Try it now on Cute-Games.com! If your like the Paw Patrol Pair Picker game you can write a comment in the game page. Recommend this game to your friends if you like it! 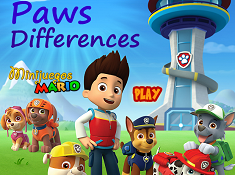 Paws Differences its a part of Paw Patrol Games category and until now its played 2895 times. Try it now on Cute-Games.com! If your like the Paws Differences game you can write a comment in the game page. Recommend this game to your friends if you like it! 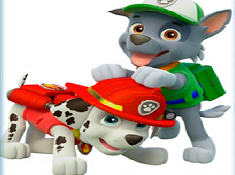 Nick Jr Firefighters its a part of Paw Patrol Games category and until now its played 5245 times. Try it now on Cute-Games.com! 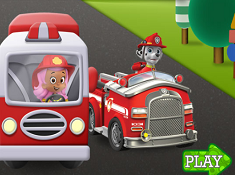 If your like the Nick Jr Firefighters game you can write a comment in the game page. Recommend this game to your friends if you like it! Nick Jr Holiday Party its a part of Paw Patrol Games category and until now its played 5017 times. Try it now on Cute-Games.com! If your like the Nick Jr Holiday Party game you can write a comment in the game page. Recommend this game to your friends if you like it! 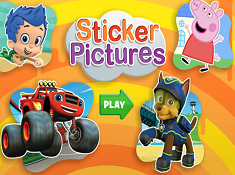 Sticker Pictures its a part of Paw Patrol Games category and until now its played 6252 times. Try it now on Cute-Games.com! If your like the Sticker Pictures game you can write a comment in the game page. Recommend this game to your friends if you like it! Nick Jr Coloring Book its a part of Paw Patrol Games category and until now its played 5080 times. Try it now on Cute-Games.com! If your like the Nick Jr Coloring Book game you can write a comment in the game page. Recommend this game to your friends if you like it! 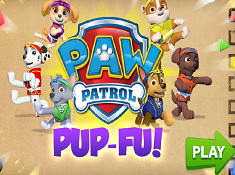 Paw Patrol Pup Fu its a part of Paw Patrol Games category and until now its played 3774 times. Try it now on Cute-Games.com! If your like the Paw Patrol Pup Fu game you can write a comment in the game page. Recommend this game to your friends if you like it! 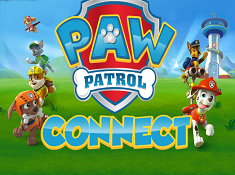 Paw Patrol Connect its a part of Paw Patrol Games category and until now its played 1706 times. Try it now on Cute-Games.com! If your like the Paw Patrol Connect game you can write a comment in the game page. Recommend this game to your friends if you like it! 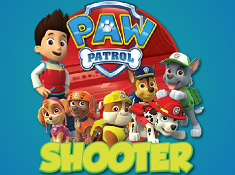 Paw Patrol Shooter its a part of Paw Patrol Games category and until now its played 2061 times. Try it now on Cute-Games.com! If your like the Paw Patrol Shooter game you can write a comment in the game page. Recommend this game to your friends if you like it! 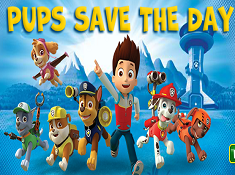 Pups Save The Day its a part of Paw Patrol Games category and until now its played 2487 times. Try it now on Cute-Games.com! If your like the Pups Save The Day game you can write a comment in the game page. Recommend this game to your friends if you like it! 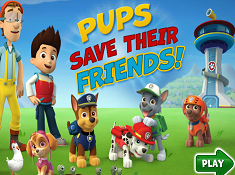 Pups Save Their Friends its a part of Paw Patrol Games category and until now its played 2220 times. Try it now on Cute-Games.com! If your like the Pups Save Their Friends game you can write a comment in the game page. Recommend this game to your friends if you like it! 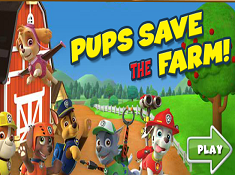 Pups Save The Farm its a part of Paw Patrol Games category and until now its played 2263 times. Try it now on Cute-Games.com! If your like the Pups Save The Farm game you can write a comment in the game page. Recommend this game to your friends if you like it! Paw Patrol Fishing its a part of Paw Patrol Games category and until now its played 1442 times. Try it now on Cute-Games.com! 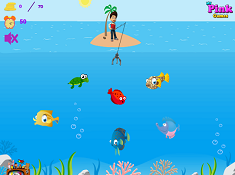 If your like the Paw Patrol Fishing game you can write a comment in the game page. Recommend this game to your friends if you like it! 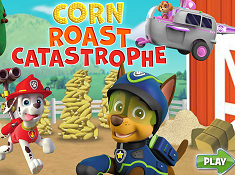 Paw Patrol Corn Roast Catastrophe its a part of Paw Patrol Games category and until now its played 1895 times. Try it now on Cute-Games.com! If your like the Paw Patrol Corn Roast Catastrophe game you can write a comment in the game page. Recommend this game to your friends if you like it! 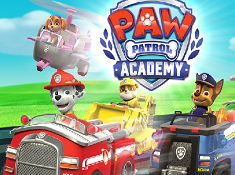 Paw Patrol Academy its a part of Paw Patrol Games category and until now its played 2336 times. Try it now on Cute-Games.com! If your like the Paw Patrol Academy game you can write a comment in the game page. Recommend this game to your friends if you like it! 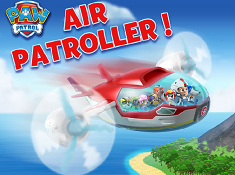 Paw Patrol Air Patroller its a part of Paw Patrol Games category and until now its played 3458 times. Try it now on Cute-Games.com! If your like the Paw Patrol Air Patroller game you can write a comment in the game page. Recommend this game to your friends if you like it! 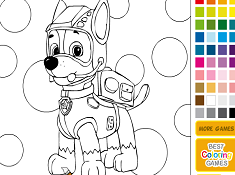 Paw Patrol Sky Patrol Coloring its a part of Paw Patrol Games category and until now its played 2274 times. Try it now on Cute-Games.com! 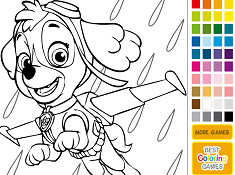 If your like the Paw Patrol Sky Patrol Coloring game you can write a comment in the game page. Recommend this game to your friends if you like it! 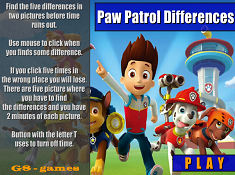 Find More About Paw Patrol Games! 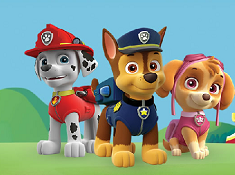 Paw Patrol is a canadian animated series created by Keith Chapman for Nickelodeon where the series first aired on August, 12 2013 in United States and also for TVOKids, a canadian channel where the series first aired on August, 27 2013. The story is about an intelligent boy named Ryder who knows a lot about technology and leads a team formed by nine dogs along with who is protecting the city where they lived, Adventure Bay. 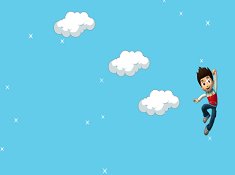 The team knows a lot of great stunts and ways to fight but also, they are very funny and brave reason for why they work on a high level with hard missions. 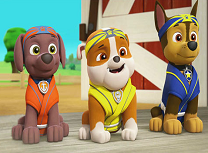 One of the dogs is Marshall who is one of the main characters and a member of Paw Patrol team which is a fire pup and also a doctor so, his mission is to check out fires and to rescue the animals which are caught in there. Marshall is a cute dalmatian, a little silly but even if he can help very well Ryder on mission and he has a great ability which he used when he is a doctor by using his X-Ray screen to check people for any health problem. Another member of Paw Patrol team is Tracker, a dog who appears in the series in the third season, he has brown fur with a white underside and he wears a green suit. Chase, another puppy and main character is a German shepherd puppy which is a police and traffic cop dog and one of the most serious puppies when is in missions. He is also a spy dog and he had a spy gear who helps him to find missing animals and peoples and you can recognize him by his police suit. Another member of the team is Everest, a female husky who is helping by cleaning the snow of the road by letting the cars driving safe by using his grappling hook which is helping her to get from place to place. Another female character and the first female member of the team is Skye, a cocker spaniel mixed with poodle and his job is to save people and animals with her helicopter which allows her to arrive fast in any place. 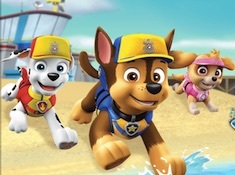 Zuma, is another member of Paw Patrol team, he is a chocolate Labrador and he has to save sea animals are other animals from underwater and you can recognize him by his orange suit and his hovercraft which is a speedboat. Another male member of the team is Rocky, a dog who is recycling any broken thing and he is always using old things to fix other things so, you can see that he is a talented puppy with many ideas. Rubble, another main character of the series and a member of Paw Patrol Team is an English Bulldog and the construction dog who is always fixing the damaged buildings or other things which has to fix to not hurt some people or animals. The last member of the team is not only a dog because he is a robot dog named Robo-Dog who was created by Ryder to help the team by making all the things that the other member can`t do. 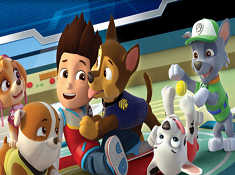 Another main character and the most important character is Ryder, a ten-year-old boy who leads Paw Patrol team so, when they have an emergency he is the one who leads the puppies and tells them what they have to do. As I said, Ryder is an intelligent boy fact that you can see by his skills to train each puppy and teach them about what they have to do on a mission. 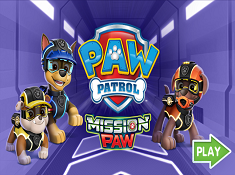 Now, this amazing story is available on Cute-games.com where you have the chance to go on missions along with them and to be part of Paw Patrol team. 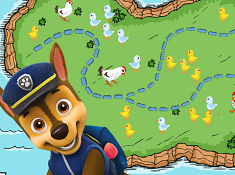 If you like the series you will surely like our Paw Patrol games because you can be part of the story and you can explore the Adventure Bay city and to have a lot of fun along with thoose cute and funny puppies. Like always cute-games team tries to bring on our site games for everybody so we invite all of you to play our new Paw Patrol games because each of you will find a game to play. Even you are a girl, a boy or a kid you can play our new games because we have challenges for everyone and because everyone can be part of that team and everyone can be a hero like these dogs. We wish you luck and we hope that you will enjoy a lot our online Paw Patrol games and if you want some games that we haven`t publish yet, you can tell us what game do you want and we will publish it for you.